Around here summer is in full swing! I’m pretty sure I’ve almost wore out a pair of flip flops already. 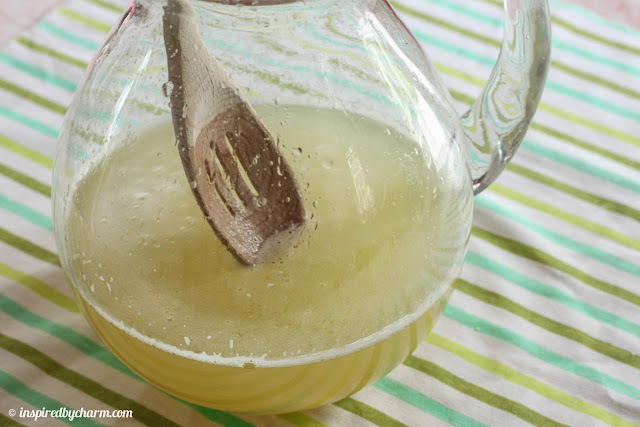 For me, summer isn’t complete without an amazing margarita recipe and I’ve been crazing a good one for weeks! 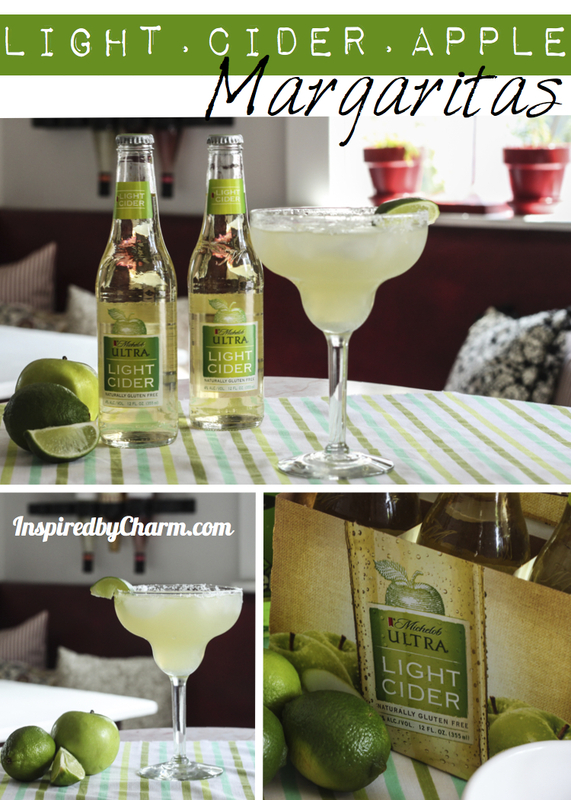 I found this new Light Cider from Michelob Ultra and thought it would be the perfect addition to an amazing margarita! 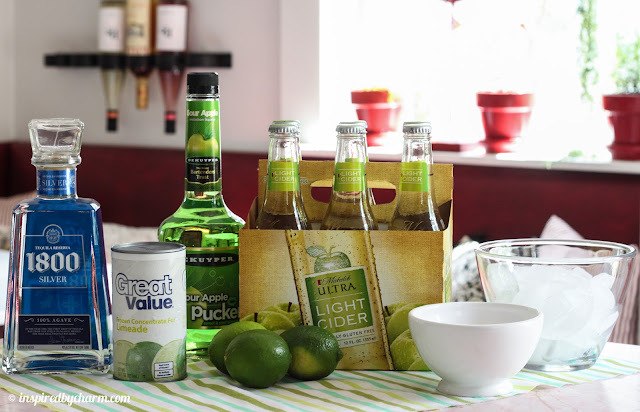 I love a hard cider and this one is so good on it’s own – crisp, light and refreshing. I love it straight out of the bottle, but being that it’s naturally sweetened and made from hand-picked apples I thought it would perfect to mix in with a traditional margarita. With a few other special ingredients I created Light Cider Apple Margaritas! 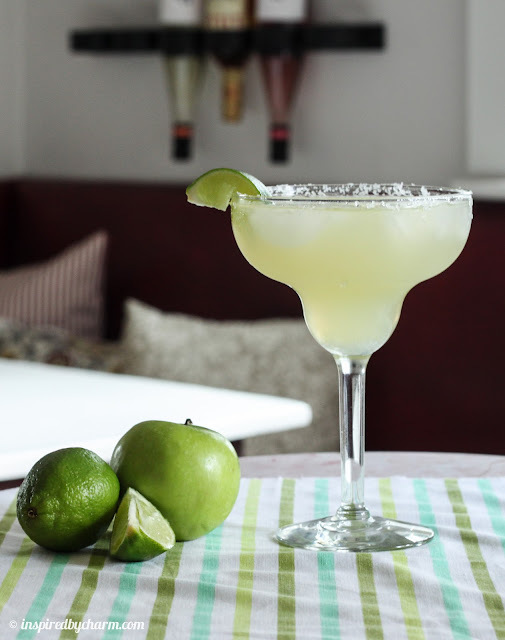 Begin by rubbing a wedge of lime onto a margarita glass. Then, dip rims in salt to coat lightly. …and two bottles of Michelob Ultra Light Cider. 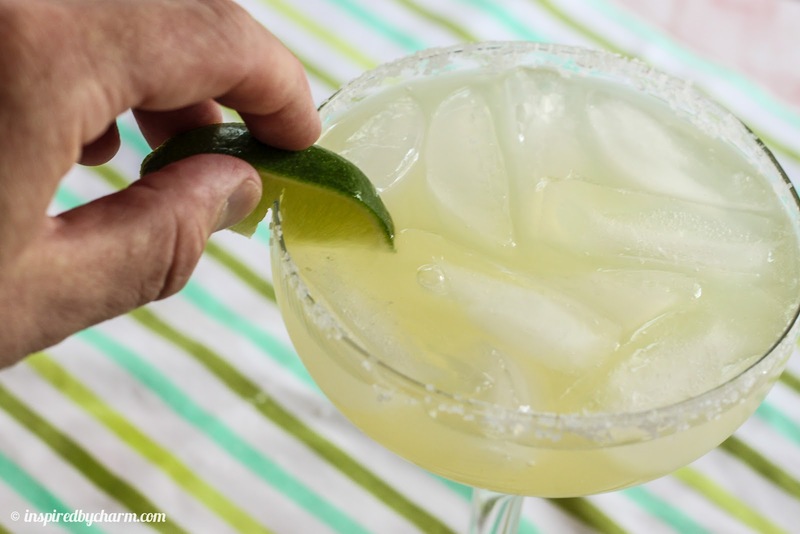 Fill your salted rimmed margarita glass with ice then fill with your margarita mix. Squeeze the juice of of a wedge of lime into your glass then hang on the side for garnish. Sit back, relax, and take in the summer sunshine while sipping on this delicious margarita. This recipe makes four glasses of deliciousness. Feel free to invite a friend over or save it all for yourself. 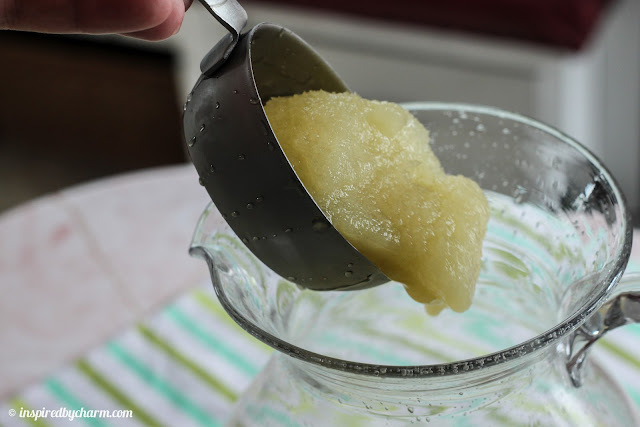 I love the twist of apple in this margarita from the apple pucker and cider. 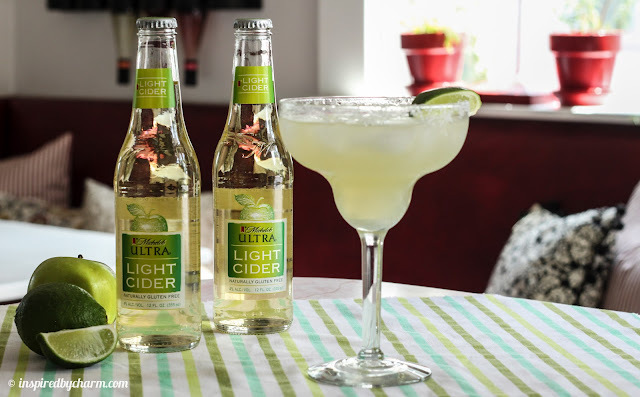 I also love that fact the Michelob Ultra Light Cider has one-third fewer calories than traditional ciders. Well, I’m off to my porch for some margarita sipping. I have a few extra glasses and four more bottles of cider if you want to come and join me! 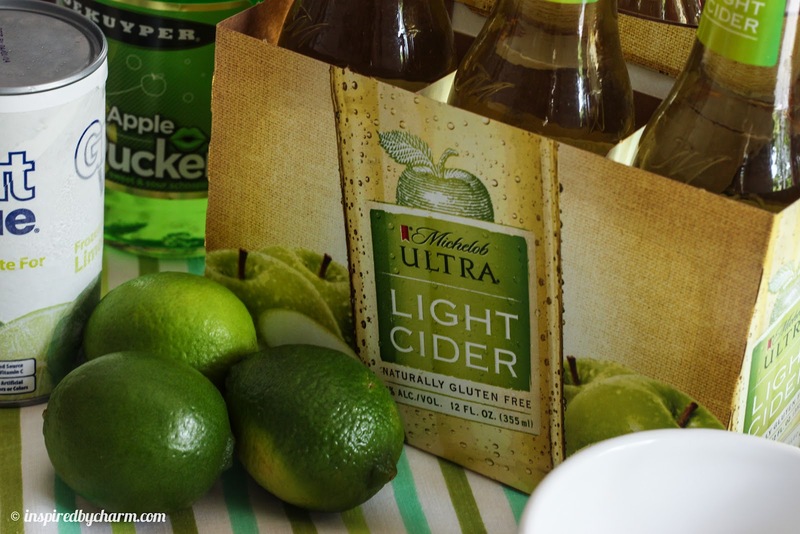 For more information about Michelob Ultra Life Cider visit them on BlogHer or their Sponsor Site. Mmmm, they are a breakfast drink right? Would love to whip one up right now! These look yummy! I’ve been trying to find them where I live…. hmmm… off to the website to find my nearest location. Can’t wait to try your recipe! These look delicious! This is a fancy version of beer margaritas that I make, I wish this cider was sold in CO because I would make these tonight! Yum! I’ve been eyeing that cider in internet ads. Looks like I’ll have to pick some up on my next grocery run! I’m not a big drinker……but THIS is my kind of drink!! Thanks for sharing! I may have to buy Michelob for the first time in my life just to try this recipe, looks so tasty, thanks Michael! I’ve been eyeballing the commercials for this, now that you turned it into a Margarita, I’ll be on it like white on rice. I feel a bbq coming on! I love the idea of the mixed drink makes beer classy lol thanks for sharing! This is a MUST try! I am on my way to get the items, The beer looks so refreshing by itself, can’t wait to try that also. Thanks! I love your site. Thank you for sharing your ideas, tips and recipes! 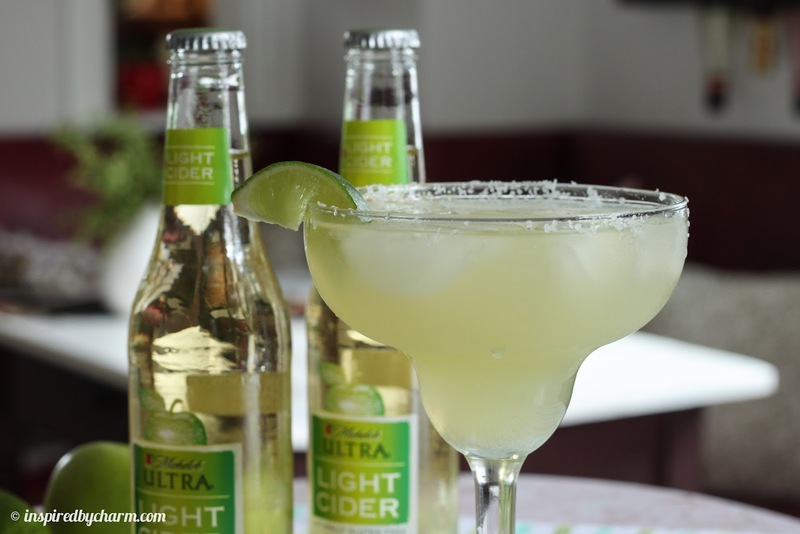 Those margaritas sound great, I have tried the Ultra cider too and agree it is crisp & refreshing, not too sweet which I like, I wish it was lower carbs though. But OK for once in a while!